Tremendous finale. (William Charlton-Perkins reviews the closing Spring Season concert of the KwaZulu-Natal Philharmonic Orchestra’s 2018 Word Symphony Series in the Durban City Hall on November 22, 2018. 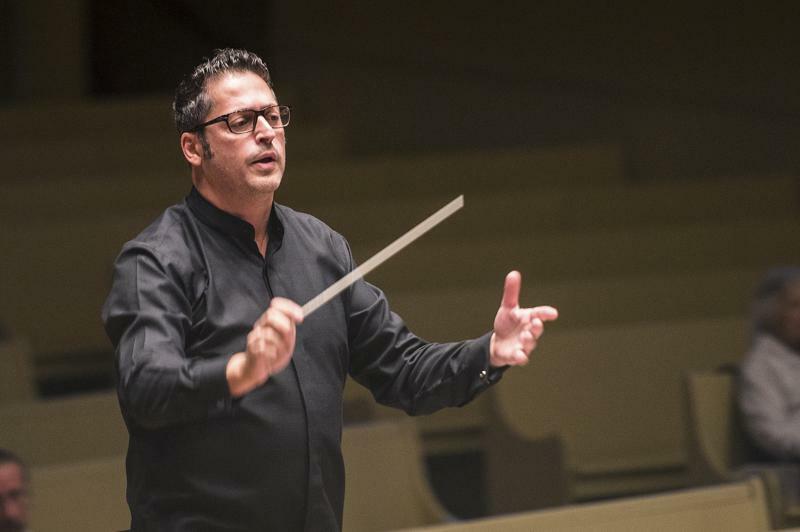 Daniel Boico, the KZN Philharmonic’s Associate Guest Conductor, brought the 2018 World Symphony Series to a close on a resounding high. With telling impact, he turned the conventional order of his programme on its head. Opening with a superbly paced account of Mendelssohn’s seamlessly elided four-movement Scottish Symphony, the Israeli-American maestro drew from his players a fine-spun performance that immediately eased the house into the heart of this arresting work, its quietly measured opening Andante con moto stealthily advancing into the swirling motion of the Allegro that carries the first movement’s inexorable current forth, here dispatched with a sense of inevitability that speaks of interpretive integrity. The work’s second movement Vivace non troppo sparkled with an endemic life force, giving way to the deep tenderness of Mendelssohn’s wonderful third movement Adagio, which glowed with a sense of humanity that hung in the air. The opening rigour of the fourth movement’s Allegro vivacissimo felt perfectly judged, as did the chorale-like finale that sang out exultantly to crown this grand work. Testimony to the accord that clearly exists between this conductor and orchestra, for which the audience showed unanimous gratitude. Mily Alexeyevich Balakirev’s rarely heard Overture on Three Russian Themes proved an inspired piece to open the second half. We were treated to its broad-stroked exploration of 19th Century Russian nationalism, evoking the great Steppes and its people, its vigorous introduction beautifully contrasted with the lovely Andante for unison flute and clarinet, followed by a pleasurable sense of déjà vu, as we came face to face with the familiar theme used by Tchaikovsky for the Finale of his Fourth Symphony. All eyes and ears were trained on Russian-German virtuoso Olga Scheps, as she at last took centre stage for what turned out to be a magnificent teaming with Boico and his players in Rachmaninoff’s ubiquitous Piano Concerto No 2. Displaying supreme pianism and musical sensibility, Scheps pulled off the feat of imbuing this concert staple with a sense of newly minted allure, enacting with steely strength its passages of glittering passion and fire, juxtaposed with a gossamer-fine beauty of tone in its dreamy Adagio sostenuto that conjured distant horizons, shimmering like a mirage.